Organised beach with sunbeds, coffee/drinks & watersports: 150m (by foot)!!! 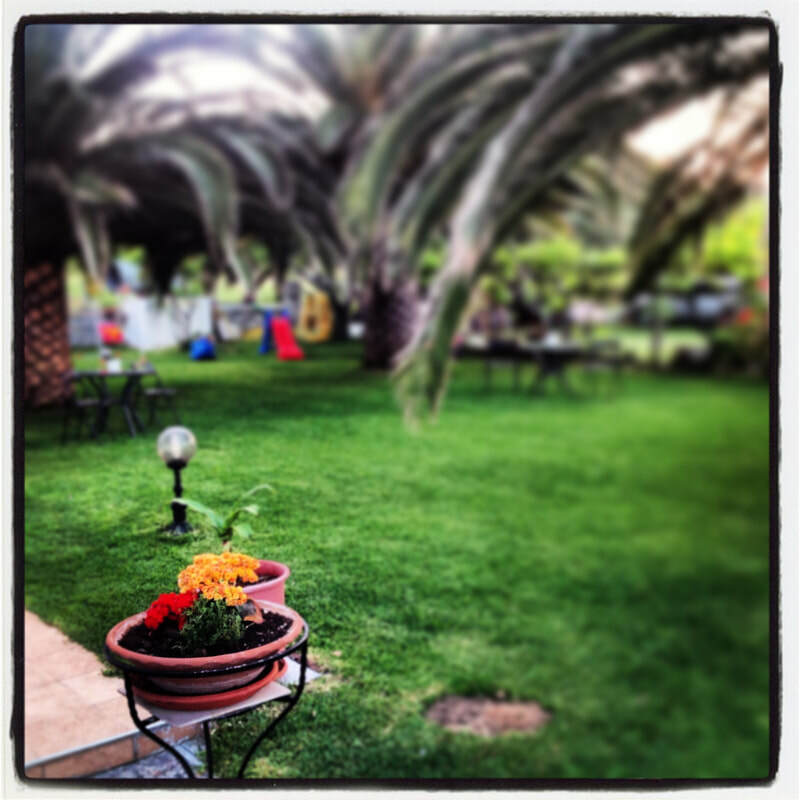 ​Our house is located in Polyhrono, an idyllic greek village, with which everyone fall in love with the first sight! Romantic walks by the beach on sunset with your couple or family, a dinner to any of our many located local tavernas or a visit to the neighbouring villages (25 minutes max) makes our place a unique destination, where everyone must live! A lovely apartment complex surrounded by high palm trees and huge grass fields, located in the "middle" of Kassandra peninsula. From here you can easily visit all neighbour villages in about 10 to 20 minutes by car, or you can stay in the idyllic Polyhrono, to walk across the sea road and taste every bit of greek nature, calture and especially...greek cuιsine!!! Our property has 2 beautiful and big grass fields under the shadow of 3 big palm trees, where children can run and play, while parents can relax on the sunbeds enjoying a cold drink or a snack! There are many kids toys arround the field and all the property is enclosured, as safety is one of our top terms. The beach is almost 90m in front of our house, so no car needed. Also, you will find a spacious and fenced parking with 7 places, a barbeque and a traditional brick oven next to our enormous olive oil tree kiosk, an enclosed shower, where you can choose either to have a warm bath, or to have a refreshing bath with water from the natural spring water which is coming direct from the mountain, and 2 outdoor showers. We also offer immediate and FREE pediatrician for pediatric and pathological cases.